Today I’m going to show you how to start a LinkedIn group, how to be a LinkedIn group owner. Watch the video for steps on how to create a group. Being positioned as the group owner, first of all you position yourself as influential, right? Additionally, you have the ability to message everyone in that group on a weekly basis. It gives you extra fuel to your email marketing campaign because you can also message your group members and that gets into their email boxes. There are a lot of good reasons to be the owner of a group. Remember you want to have a name that is something that will stand out so people will want to join it. You choose a logo file. You name your group. You write a little description. Now you’ve got a group created. It’s that simple. Here’s what’s not so simple. Driving traffic to that group. LinkedIn made some changes to groups and now they’re not as easy to find. You need to have a plan to drive traffic to your group. 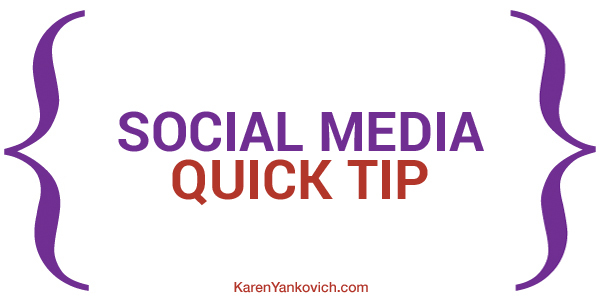 For my group, Profitable Social Media Tips, at the end of all my blog posts, I say “Join my LinkedIn. group”. I tweet it a couple times a day. I put a link to that group in front of people on a regular basis and that helps to grow my group. That’s your task for today. Check it out. Go on over to LinkedIn, create a group, be the owner of the group, be influential. You’re going to see that this positions you in a way that you’ve never been positioned before. Invite me to your group because I want to see them.